Luxurious guest house for sale. Guests are invited for an unforgettable and relaxing vacation in the most picturesque of settings - the Knysna Heads. The Guesthouse is surrounded by a cobalt sea swirling between towering monoliths of rock, a sparkling lagoon, lush indigenous forests and one perfect fairway after another. 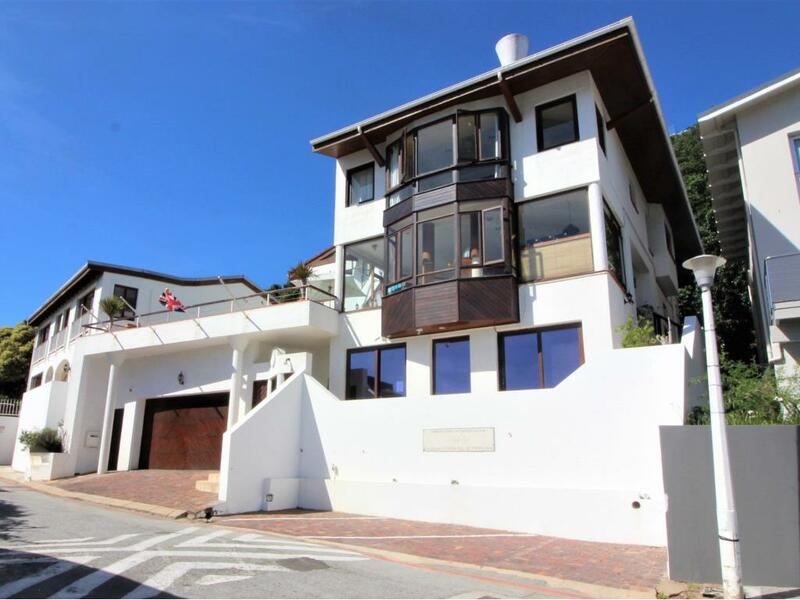 The Guesthouse is situated right at the bottom of the Knysna Heads, only a 5 min drive away from town. Reception area with Yellow-wood bar and lounge area overlooking the Knysna Heads and lagoon. Dining room opening out onto the pool area and a separate breakfast area that opens out onto a garden courtyard. Inviting formal lounge with a woodburning fireplace for those colder days. Swimming pool area for outdoor entertainment. Upstairs comprises of 3 guests suites en suite bedrooms. Overhead ceiling fans as well as air-conditioners and a refrigerator. The upstairs rooms have a view over the Knysna Lagoon. Downstairs guest toilet, separate office, laundry room and staff quarters. Double automated garage plus extra space for parking 1 additional car. Separate wine cellar at the back of the garage. 3 separate storerooms with built-in shelving. Separate guest room /manager’s quarters on lower level with own entrance. The price includes VAT (No Transfer Duty Payable) Asking price includes all furniture.